In these stories, readers will meet women like: the fallen starlet who revives her career by voicing a wretched dog-man in an animated horror film; the surrogate nearing her due date who, hoping for greater profit, runs off to Mexico with her valuable cargo; the meals-on-wheels driver with an eating disorder who survives on bits picked from the dinners of her clients; the casting agent who hires a performance artist to nurse her new baby; the young professional who, seeking eligibility for an exclusive dating service, pretends severe colorblindness; the dangerously protective mother who attempts to destroy her child’s faith in his physical senses. Victims or victimizers, the mothers, daughters, sisters, lovers, friends, and ghostly presences in this collection face their unique circumstances with passion and creativity. Whether or not they find satisfaction, they are all Women of Consequence. Over the last decade, Gregory Wolos’s short stories have appeared in more than seventy journals and anthologies. His work can be found in publications like Glimmer Train, Georgia Review, Florida Review, descant, Baltimore Review, The Pinch, Post Road, The Los Angeles Review, PANK, and Tahoma Literary Review. 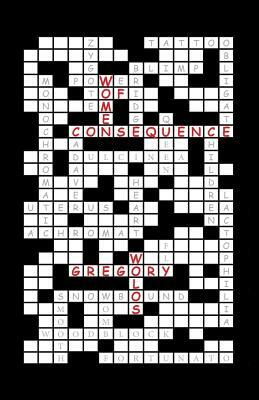 Gregory’s stories have won awards sponsored by Solstice, Gulf Stream, New South, and the Rubery Book Awards, and have earned six Pushcart Prize nominations. More often than not, his writing reflects Kafka’s assertion that a literary work “must be an ice ax to break the sea frozen inside us.” He sharpens his own ax at his home in a small town outside of Boston, Massachusetts.